Israel’s tourism numbers are skyrocketing as foreign tourist’s interest in this tiny Jewish state continues to grow. 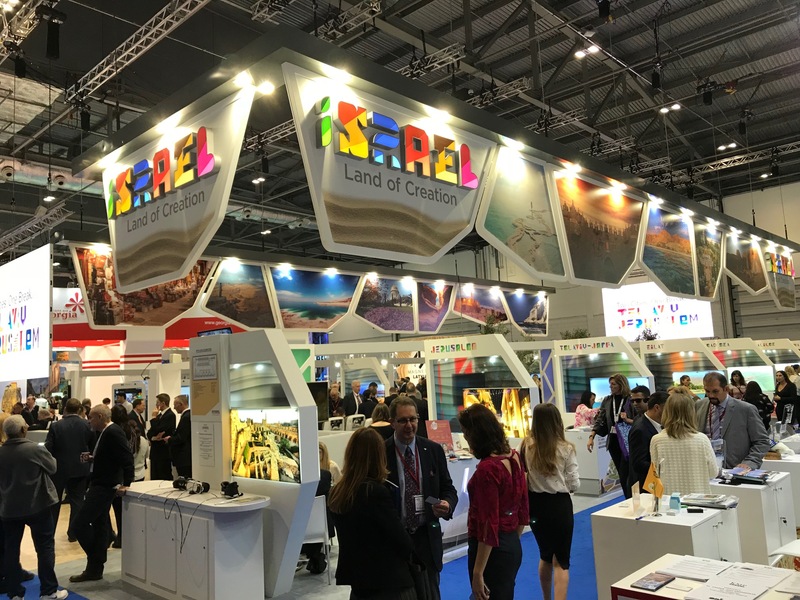 One would assume that the Middle East section at the World Travel Market (WTM) tourism fair held last week in London would have included Israel next to the Egypt and Lebanon booths or perhaps near Jordan’s. 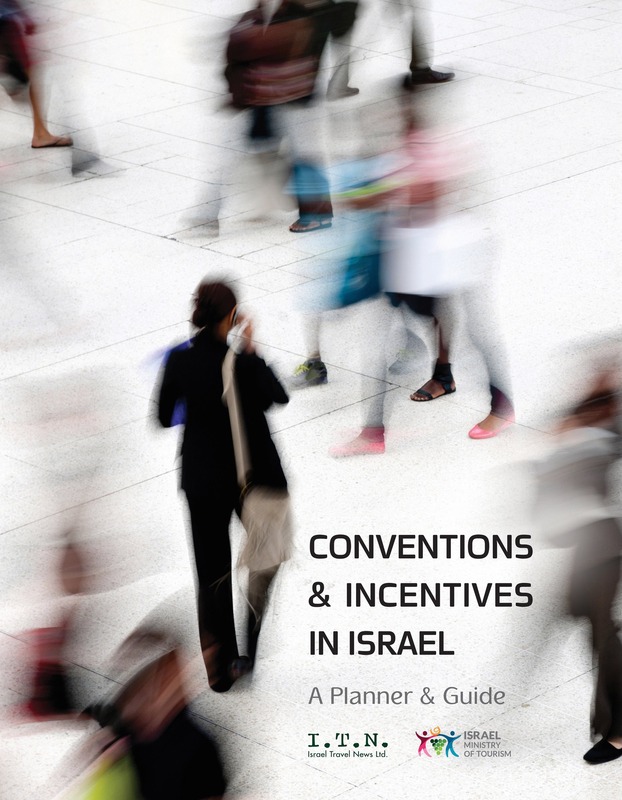 In fact, Israel’s pavilion was situated way across the conference center in the Europe section. Regardless of its location, the Israel pavilion was well-trafficked by many of the thousands of conference attendees. And for good reason. Israel’s tourism numbers are skyrocketing as foreign tourist’s interest in this tiny Jewish state continues to grow. Israel is, in fact, geographically part of Asia, but for purposes of regional diplomacy and the fact that for many years Arab nations refused to allow Israel any degree of participation in the Asia Group to which they belong, the United Nations considers Israel to be part of the Western European and Others Group. Thus, in many ways, Israel is considered to belong more to the Europe bloc than it does to the Middle East bloc. 51,000 people, including some 9,000 key tourism professionals and 3,000 media professionals were expected to visit WTM, which took place from 5-7 November. 5,000 delegates from 182 countries exhibited at the fair. Israel has been participating in WTM for more than 35 years. 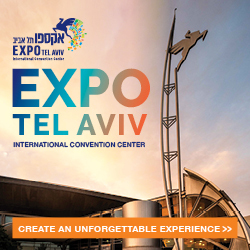 The Israeli pavilion at the fair covered 400 square meters and was inspired by the campaigns of the Ministry of Tourism – “Two cities one break” (Tel Aviv and Jerusalem) and the “Always Sunny” campaign of the Negev and Eilat. Booths focusing on regions in Israel include Jerusalem, Tel Aviv – Jaffa, Eilat, the Dead Sea, the Galilee, Netanya and Nazareth. During the fair, Israel’s Ministry of Tourism held meetings with senior officials of the global tourism industry, with the main objective of increasing sales channels in Israel and expanding marketing channels in England in particular and Europe in general. Tourism ministry representatives presented the business potential inherent in tourism to Israel and the benefits offered by the ministry to encourage and strengthen tourism to Israel. Four Israeli high-tech companies specializing in travel tech were present at the booth, displaying their unique developments on two giant screens in the form of mobile phones. In addition, visitors to the Israeli pavilion enjoyed Israeli street food served by Chef Eran Tibi along with Israeli wines. In addition, visitors were able to receive an amusing souvenir caricature, created against the background of Israeli landscapes. The Tourism Ministry’s campaign to promote Eilat is currently on air in London, both online and on radio. In addition, the Israel Government Tourist Office in London printed a unique culinary magazine, with campaign presenter Shir Elmaliach on the cover, that was distributed to passers-by on the streets of London and distributed through the Sunday Times and The Telegraph. 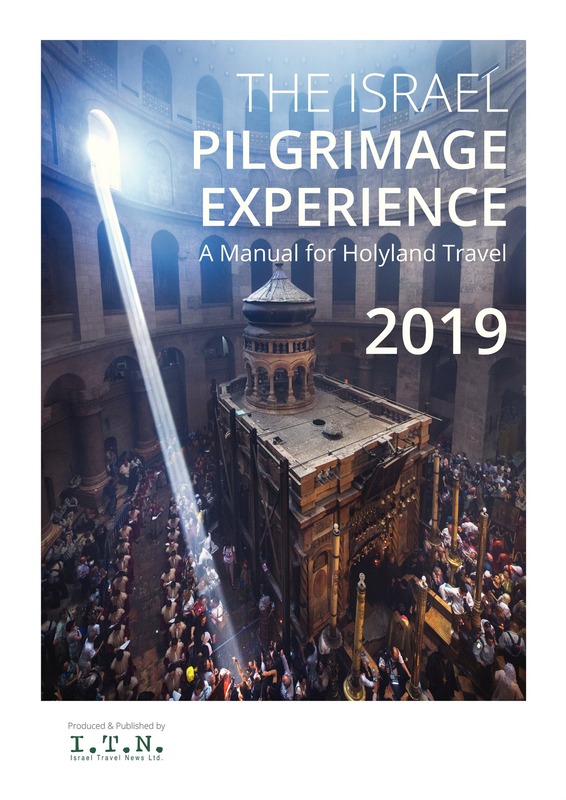 The magazine focuses mainly on the culinary scene in Tel Aviv, Jerusalem and Eilat – the destinations highlighted in the campaign. 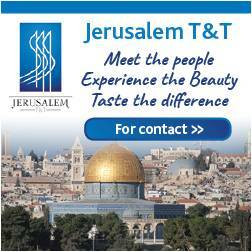 Ilanit Melchior, director of the Jerusalem Development Authority, told ITN, “We are continuing to promote Jerusalem as the new, untapped destination that people want to come and see. What we’ve learned here, which is quite amazing, is that there is such a growing demand for the city. So all of the work that we have been doing over the past ten years is really showing… Jerusalem is not anymore just historical or religious,” she said.